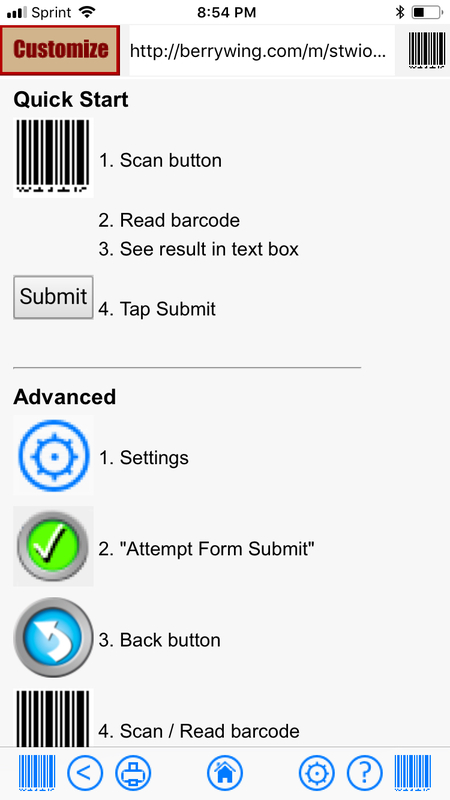 This is the app for scanning information into an online form or database & we didn't stop there! Speak to web - Voice to text in your forms! Tab to next - Cursor moves to next field after scan. Duplicate scan check - to ensure reliable information. Most high-end web/cloud based business software (SAP, Navision, Axapta, etc) have web forms to collect information directly into the business software database. Guess what? You can use Scan to Web to scan information into that form. For example, one client uses this app to track cages used in their laboratory. 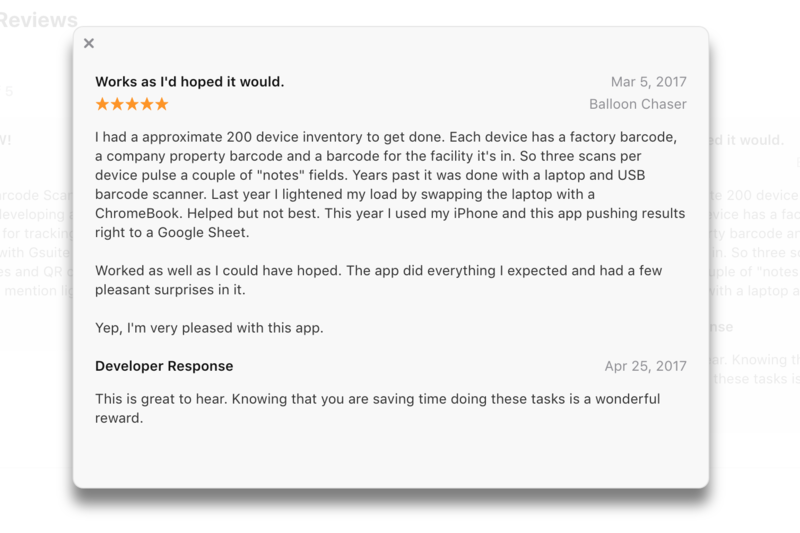 Instead of investing in $100+ barcode scanners, they use a smart phone with our Scan to Web app. As a cage is moved from lab, cleaning, storage, and back to the lab they are scanned into the app with no hand typing of the cage numbers for accuracy. Google Forms have a live view or "survey" that can be used with Scan to Web. Now you can scan a barcode and the form will save that as a new row in a Google Sheet. All of it is done in the cloud with no typing by the user. For example, Teachers use Google Forms to do inventory on homework assignments that are turned in. The assignment would have the student's ID barcode on it. They scan the barcodes in and with a quick VLOOKUP in the Google Sheet and bam! They know who hasn't turned in their assignment. Get the Scan to Web app. Need more features or a white label product? Then it's time to drop us a line!